Whilst I was away in England chilling out, Boris and Rob bought a surfshop. I can't leave those two alone for a minute. 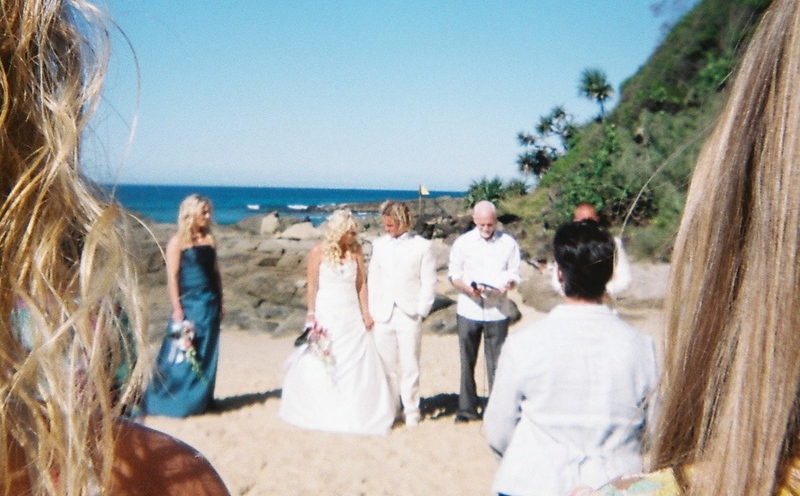 Jay and Tara Heller who are very much involved with Christian Surfers. Tara teaches and is chairwoman of Coolum Girl Boardriders Association and Jay also works in schools. They are two lovely and very beautiful surfers. Jeremy and Ashlee Hoover worked with YWAM Sunny Coast a couple of years ago and have returned from the USA to see what God has in store for them here. They also are lovely and very good looking. You don't have to be beautiful to work in Boardstore, this is all just coincidence. Honest. This store will continue in the ministry of all Boardstores - it is there to connect with the boardriding community, to be a positive presence and to share God's love with people. It's been really hard work this week renovating the store but we had some help from awesome friends willing to give their time and get painty. When we cracked this tin of paint in the morning, all the boys said it looked like vomit and thought it was disgusting. By the end of the day they admitted they liked it. One of them asked to paint his bedroom in it. Catch up boys. Kerie has been my partner in crime in designing the refit, she has great taste and it's been so much fun doing a proper project with her. Long are the evenings we've spent in the last year watching Grand Designs and Mary Queen Of Shops. This was our time. When the boys think something is rubbish, we're there to back each other up and tell each other it's amazing. Then the boys come around to it. They're just a bit slower. Ashlee's also come in with some sweet ideas so between us if anything we've had to be careful not to make the shop too beautiful and to maintain a certain level of blokiness. I'll put up some photos of the finished product. Please pray for our new shop! That we would honour God through it and He would use it for His glory. Please also pray for me as we all know I'm not very good at pacing myself and there is so much to do! Pray that I would chill out and make good decisions about brands and ordering and all that jazz. so excited. can't wait to see the new shop. that avocado paint looks awesome.